My Palm Tungsten E (a.k.a., "Crashy McCrashALot") bordered on this multi-location functionality, but: a) frequently incurred extra changes to sync with my home and work Macs (the Mark/Space sync program was needed after Apple and Palm pulled out of that horse race); b) my hand would cramp up trying to enter more than a few lines of text; and c) stability was a pipe dream, often leading to not only crashing but slowly and silently corrupting data over many weeks till it was too late to do anything about it. In fact, the frustration of the latter provided the final straw that led to the creation of the D*I*Y Planner project. A few days after introducing the iPod Touch, my results did vary. The data entry using the on-screen keyboard was about as fast as using Graffiti on the Palm (which is to say, rather slower than handwriting, much slower than regular keyboard typing), but I got used to it. To my chagrin, there was no to-do list application on the machine, and no way to incorporate any third-party application with iCal's task list. I could use OmniFocus, but let's say I don't want to spend another $100 right now -- I have high hopes for Things, a GTD-style app that works close to how I think, but a syncing version isn't released yet. Not only does the Calendar not have a weekly view, but adding an item might or might not propagate to my Macs, which use Apple's MobileMe (formerly known as .Mac) for syncing. After downloading a couple dozen apps from the Apple AppStore, my daily syncing process takes nearly two hours because it does a full back-up of data, even though I have back-ups turned off! Sorry, Apple, I may be a fan-boy but that's ridiculous. There's no way of syncing notes (that is, without a third-party app like PhoneView, which provides a decent kludge), and even if there were, the Notes apps is fairly brain-dead. And I still don't understand why Apple places such a low priority on copy/paste on the device. Clearly, the device isn't meant for information management of any kind. The browser, the media player and a number of the neato third-party applications almost --but not quite-- made up for this, and I briefly explored a few online options like Remember the Milk paired with Google Calendar before I realized that most of the time when I'm out and about there is no WiFi connection. And then it got worse. Yes, I actually pay for MobileMe (formally .Mac) as a way of keeping all my Macs in sync, and while it's never been perfect and occasionally it refuses to sync till one of the machines has its data wiped, I can usually overcome any difficulties within a few hours. The convenience is usually worth it. But when one of my laptops refused to sync, even a "nuclear reset" wouldn't solve the problem -- back-up, unregister all computers, wipe all data, re-import the data, re-register the computers, do full sync on one, replace sync on the others. Long story short, it finally did work, but lost my last two weeks of iCal calendar entries, all my to-do items, and everything that was in one category. Score one for the paper planner: all my important items were written down and could be re-entered. So, here's the sad conclusion to my diatribe. Of all the devices, applications, gadgets, cell phones, flotsam and jetsam that I've used over the past 15 years, the closest I've come to my ultimate digital time management solution has been a ten-year-old Newton MessagePad 2100 with MoreInfo and a few other non-Apple applications. The handwriting recognition rocks, I can combine drawings with text, the attachable keyboard works fine, the notes app has full outlining and checkbox functionality, the alarm is loud enough to wake me up, there's nearly 30 hours of usage before needing to recharge, the copy-paste works perfectly, the word processor with spell-checker/dictionary/thesaurus is no-frills but works well, and the various time/contact management features (especially in MoreInfo) are what I consider to be best-of-breed for my uses. Yes, the thing is a little large and heavy, but it's a good size for entering and manipulating text, and while Apple doesn't provide syncing services for Mac OS X, some volunteer projects have stepped up to the plate and do an excellent job. I wouldn't want to use it for web browsing or serious email usage, but I have other machines for that. Now, if Apple were to finally create an iTouch about three times the size with handwriting recogition and all the flexibility of the Newton, my digital time management woes would likely be solved. But that's not going to happen any time soon. Submitted by reepicheep on Tue, 2008-08-05 01:22. The rumours on the Mac rumour mill are that there might just be a iTouch-style MacBook announced in ... September ... that's any time soon. Of course, the rumours might be just that rumours but there's been enough hints over the last couple of years that such a beastie exists and is coming to market RSN. Submitted by dougj on Tue, 2008-08-05 03:03. Submitted by Rollafool on Wed, 2008-08-06 01:26. Agreed that handwriting recognition is an essential missing element. There really should be a stylus option too, especially for typing. The lack of across-the-board cut-and-paste (and the ability for apps to copy and paste behind the scenes between each other, e.g. copy e-mail text or a calendar event into a to-do list) is a major drawback. Once Apple introduces that one, I think it will be a shot in the arm for new professional and business apps. Submitted by ScottE22 on Tue, 2008-08-05 01:33. I'm with you. I'd suggest saving your money and not buying OmniFocus. Even with the promise of syncing, I've found it to be disastrous. Fortunately, I got in early and got pre-release pricing on the desktop version a while back so it didn't hurt the wallet too much. Right now I'm trying out Things. Wi-Fi syncing (as opposed to the horrible MobileMe syncing OF uses) is promised in the next version so I'm being optimistic. Oh - and the 45-minute "Backing up iPhone..." every time you plug the dang thing is is completely unacceptable and needs to be fixed PRONTO. Submitted by dougj on Tue, 2008-08-05 03:10. My syncing with the iPod Touch started at 11:50 pm last night. It finished at 1:43 am. Besides the backup, there was only two small apps to install, no calendar/contact sync, one small podcast, and no new music. I really don't understand what's taking so long. It's USB2, so even if the device were full of apps (instead of non-synced music), it shouldn't take longer than a half-hour to copy *all* of the information over. But what gets me most is that I have the backup turned off in the preferences. Very frustrating. Submitted by xena on Tue, 2008-08-05 05:34. Submitted by dougj on Tue, 2008-08-05 10:06. Heh, I tend to agree with the pen and paper option, and it's what saved my little caboose this time. The only problem I have is with transporting large amounts of digital data like notes, long digital task lists, outliner docs, proposals-in-the-rough and so on. Submitted by sporter on Wed, 2008-08-06 03:17. I finally gave up on electronic gadgets for calendaring and to-dos. I finally realized that seeing time electronically was not the way my brain worked. The analog way of seeing pages as weeks suited my thinking style. So, I am using a paper-based PDA and capturing items in an In Box, using a Next items list, etc. I love it. I use a leather Levenger cover and love the immediacy of it. I do miss TextTwist that saved me from many a boring meeting! I used to train users on the Palm platform so I knew what the machine could do. Just didn't fit me. I teach an educational technology class so have to stay up-to-date. I have a Palm and a Dell Axim to use for demos. Submitted by LisaPT on Tue, 2008-08-05 06:04. I've got an iPod Touch and love it. Granted I use it as a music player, ebook reader, and general toy. I'm not trying to be productive with it. However, I have lots of videos, songs, lectures, ebooks, and apps on it and it has _never_ taken me that long to backup and sync. If you want to, feel free to contact me privately and we can compare iPod settings. Submitted by wikeh2004 on Tue, 2008-08-05 06:57. I have an iPhone 2G with the 2.0 upgrade. Admittedly, it isn't the same as your Touch, but it should be similar enough. The backing up for me doesn't take as long as I've heard it does for others. It's usually done in about 3-5 minutes with about a half dozen 2.0 apps installed. Have you looked at EasyTask Manager? It's supposed to be modeled after GTD and it's free. It will sync with your Mac if you buy the version for the Mac. I have it, but haven't really tested it. I didn't get MobileMe. It sounded like a great solution, but Apple's still working through the kinks. Instead, I sync my calendar through iCal and BusySync, which syncs to Google Calendar. Then I can access and print my calendar from anywhere I can get online. The iPhone replaced my former Tungsten E PDA. The Palm was working fine when I turned it in to our IT department because it was no longer compatible with their security policies. My iPhone is personally owned and I don't sync it at work at all. I just check my calendar via Google when I need to from my desktop or need to print it for my paper planner. Not ideal, but it works. Some things I couldn't do with the Palm that I can now do with the iPhone. Make calls, of course, but also listen to music, watch movies, surf the web, find locations and do maps, check weather, etc. With some new apps, I can now read ebooks (Bookshelf), have a to do list (EasyTask), record and transcribe voice reminders for myself (JOTT), check drug prescriptions (Epocrates), etc. Oh yeah, the v2.01 update was just released and seems to improve the backup time. Submitted by Fokke (not verified) on Tue, 2008-08-05 19:34. Your experience is what I hear every now and then. And I have experienced some of it myself. Very frustrating. What I have learned over the years of GTD'ing is to try and keep the system as simple as possible. Nothing fancy just the plain obvious. I have found this to be a challenge at some point. For tasks/projects/calendar/mail I am set now. Evernote and Exchange. For contacts I am still struggling. Submitted by Ken (not verified) on Tue, 2008-08-19 18:24. I agree wholeheartedly with Evernote. It works well on both my work laptop (pc), my home laptop (mac) and on my iPhone. I can't edit files on my iPhone (yet), but I keep index cards with me for quick notes-- anything worth keeping is migrating into Evernote. For contacts, I've been using Plaxo for quite a while now. It's well worth the $50/year to keep all my contact information synced regardless of what tool is in front of me. A nice feature is that if you blow up your contacts by accident (which I have done when trying to get my old laptop ready for my sister) you can go back to the last weekly server backup and restore all of your contacts. Submitted by frano on Tue, 2008-08-05 22:00. Your article couldn't have been timed better! I have a Palm TX that has been sporadically refusing to turn on and requires a soft reset. I've been thinking of springing for an iPod touch (don't want to switch to ATT phone) and using that in place of my Palm ... you've convinced me not to! "The only problem I have is with transporting large amounts of digital data like notes, long digital task lists, outliner docs, proposals-in-the-rough and so on." ditto! I have a wireless keyboard and Docs-to-Go (my "poor man's laptop") and have found I can get a lot of work done in odd places. Plus of course carrying tons of archived data, much of which I would not want to carry around on paper, both because of volume and because part of why it's useful is the digital search capability of the TX. 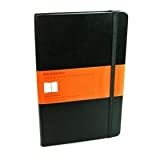 I bought a Moleskine 18-month pocket-sized planner and have switched to it for the time being. But... I love my pop-up reminders via iCal and find that I come home and enter everything into iCal (which of course necessitates remembering what said changes are long enough to do so... Plus I've had to put my contacts onto my cell phone now rather than carrying my address book in the Palm - annoying since my cell phone is generally off and tucked in my bag rather than on me. By the way, having played with both Things and OmniFocus, I'd heartily recommend Things. The interface is more intuitive, the 'areas of responsibility' fits my needs well - as an academic I am constantly getting in new assignments to grade, which goes into an 'area' but doesn't really constitute a 'project' since it's never done. Also the learning curve on OF seems much steeper to me than that of Things. Another option if you work well from simple lists is TaskPaper. It's an interface that manipulates *.txt files - allows tags, crossing off of completed tasks, and archiving of the completed tasks down at the bottom of the list out of the way. Disclaimer - I've no affiliation with any of these software companies. Submitted by Eck (not verified) on Wed, 2008-08-06 09:51. I'm still using my Newton as the main element of my GTD setup. I have tried many other things, e.g. TiddlyWiki, a homegrown Ruby-on-Rails GTD application, pen and paper, and even on the Newton, it took me a bit to figure out how things work best. I did have to implement my own app for the Newton, but the operating system is extremely flexible when it comes to developing, and I was able to fully concentrate on how to structure my workflow. Beyond GTD, the Newton is an incredible device for data collection and storage, which is pretty much the core of what a PDA is supposed to do. I don't have to worry where my information is, the Newton is the master data storage. I have only two issues, the bigger one being my crappy handwriting which makes data entry on the go less suitable for me. For that purpose I'm back to pen and paper, like an extended inbox. The other issue is that the Newton struggles in the area of connectivity, anything internet related is not really feasible, and synchronizing data is not working across the board either. Submitted by LizPf on Wed, 2008-08-06 22:13. I'm beta testing Chandler which, assuming it goes in the direction I hope it does, will solve a lot of digital problems. As Chandler stands now, there is a desktop application (free, multi-platform, open source) and a web server. You can create a "collection" of events and notes on the desktop, then publish it to the server. You then get two URLs -- one lets you only read the collection, the other lets you read and write to it. Synching between the desktop (or several desktops on different computers) and the web server works smoothly. Since you use an ordinary web browser to see your collections, it works on many devices. However, Chandler is still "not ready for prime time". It is still buggy, and is missing a few features that will really make it sing. But if you are willing to put up with beta software, take a look. Submitted by nay nay on Wed, 2008-08-06 22:46. Well, I am a windows user, so cannot comment on Mac devises and programs... But, I have had a lot of experience with Windows/Palm programs and devices and used to train employees on their Palm Pilots a while back! I currently use Outlook at Work and Home for Contacts, task lists, calendar, photos, and memos. I sync this with my new Sprint Centro containing the Palm Application. So, I have all of my planner stuff (color coded for work and personal), and my phone, email and web access all in one. I have had this for about eight months and have had no problems syncing or crashing. All in all, I am very pleased with this phone/palm. (Knock on wood so that it does not crash today! ha ha). I really like the Palm App. I think it is simple because it is based on Outlook which I have used most of my life. I write important notes in the memo area so that I carry all info with me. I have my task list set up GTD-like with @Home, @Work, @Car, etc. My calendar on the Centro is color coded so I can see right away the separation of work and personal. Same in my Outlook. I can actually click "busines" or "personal" on my calendar at work and see the appointments separated out (same on phone). So far, so good. Submitted by Rivercat0338 on Wed, 2008-08-06 23:04. I used Palm devices from '97-'04 when I finally decided to go back to paper. While the PDAs did not crash very often, the batteries invariably died at the most inconvenient moments, and synching just became a royal pain (especially with Outlook at work, which insisted on displaying completed to-do items from several years back). A friend of mine was still using her Newton as of about 2 years ago, but has probably moved on to the Touch by now. Submitted by supenguin on Thu, 2008-08-07 07:54. I've tried using PDA's twice: Handspring once and then a Palm Pilot. I feel your pain. The Handspring had a brief life as a frisbee when handwriting recognition kept showing G's and C's as a 6. One smashed PDA. Later a friend was upgrading his Palm Pilot and sold me his old one for $30 so I decided to try it again. It worked fine until I dropped it 3 feet onto carpet. The way it hit, the screen cracked but just on the input area, making it impossible to use! I have decided to hold off getting another PDA until I can find one that has good handwriting recognition, is easy to use, and can survive being dropped a couple feet. I do have an interesting idea but no clue if it is possible. How about the Amazon Kindle? I'm not sure how it is for entering information, but I seem to remember there is an option to view PDF's on the Kindle. So how about scanning paper documents in as a PDF and loading them up on your Kindle? I don't have one, never used one, and have no clue if anything like this is remotely possible. One advantage would be the internet connection option on the Kindle. Submitted by jonglass on Fri, 2008-08-08 13:56. I use my Palm Treo still, but I also use a Mac and the new MobileMe--and Google Calendar. I think the key to all this syncing garbage is to not try to sync everything. What I do is synce my Palm to one Mac, and my one Mac to MobileMe. I subscribe my wife to my addressbook and iCal, so that, if she needs, she can look at me. If she used iCal much, I would subscribe to her iCal, and no more--not try to sync them all, just subscribe--one calendar per person, and no more. Syncing has always seemed to be an achilles heel to just about every system. The only way to get around that is to do what Now and other enterprise systems do--have a server-based system, and all the users as clients. I doubt you want to do that, however, as the costs are through the roof. Anyway, to summarize, try subscribing instead of syncing. You might find it works better. Submitted by infrequenttraveller (not verified) on Fri, 2008-09-12 17:14. It seems the big companies have decided for us that the days of the PDA are over. My wife's Palm Tungsten is crashing constantly, and when she asked me what to get instead I didn't have an answer - what you can get is either low end or it's a smartphone. and even those, Palm OS based like my Treo 680, seem to run out: the new Treos all are using W*ndows mobile instead of Palm OS (which, I fear, might be a problem on my Macs as well in the office as at home). So, I have the impression we won't see any development in the PDA field: regardless of system or OS, all the new devices are smartphones - the stand-alone data terminal just seems outdated. Yes, the iPod touch could be a replacement. But with all these quirks? Also,maybe it's my fault, I'm annoyed by its organizing my contacts - which is by first name. not very helpful if you know some people called Peter. no copy/paste function, at least not with the standard software that is delivered with the device. It ain't rocket science, true. But it seems the companies (and the software developers) have embraced the idea that the market demands either entertainment devices or smartphones or both wrapped into one. nothing to get your work done. Submitted by liz_n_cats on Fri, 2008-09-12 17:37. I don't think the PDA can compete anymore ... the last PDA I bought was a Palm T|X for $399 (I think). Just a couple weeks ago I bought an Acer laptop (Aspire One) that is smaller than a piece of paper for $350. With prices and sizes like that, as well as smart phones, etc, I don't think we're going to be seeing innovation in the stand-alone PDA anymore. Submitted by jonglass on Sat, 2008-09-13 12:51. But I moved to an ancient Treo 650. I'm happy with the marriage of phone and PDA. I was really leery of it when I bought it. My Tungsten died, and T/Xs were so expensive, and I don't trust, older, used Palms to still be in excellent condition--and then I found this Treo cheap. I've been very happy with it, the battery life, and it hasn't been anywhere near as awkward as I thought it would be.